One of the best Hungarian players of recent years has joined the Szekesfehervar club. Szabolcs Huszti signed a contract with the club on Thursday. He is one of the best Hungarian players of recent decades and has returned back to Hungary after over twelve years. Huszti was born in Miskolc on the 14th April 1983. However, it was not with the local team, but at a Veszprem county side that he started to play. He came through the Tapolcai Bauxit youth side as his career started to take shape. He was just 14 years old when he signed for Ferencvaros. He played his way through the youth ranks and made his debut before his 19th birthday for the green and whites in February 2002. That was in a training camp in Cyprus against Mladost Apatin. His NB I debut came in the autumn of 2013 for Jozsef Garami's team. Huszti moved to Sopron in a loan deal for the 2003/2004 season. The new signing did really well in 2004 having played for Matav Sopron in 14 games, which produced 6 goals in the first division. Then international manager Lothar Matthaus called the young winger up. 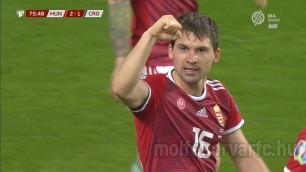 His first game for Hungary was in a match against Japan, which saw his score the winning goal. That match also saw the debut of another talented youngster in the form of Roland Juhasz. Szabolcs returned from his loan spell with Sopron to Ferencvaros as an international player. He went on to be a key player for them and played in 23 league game and 8 European matches, scoring twice. A move abroad to French side FC Metz followed after winning a league title with Fradi. He played his football close to the German border and scored one goal in his 21 appearances for Metz. He would move over the border to play in Germany a year later when he signed for Hannover. Huszti did really well in Germany and his first season included 31 league games and 4 goal, with a further 7 assists. He scored two goals against Borussia Dortmund and one against Bayern Munich. The following season included 31 league games with 10 goals and 7 assists. He spent half a year with Hannover playing in 17 league games with 3 goals and 6 assists. A move in February 2009 to Zenit was next. Zenit were then playing in the UEFA Cup (Europa League today), and the title holders had a very strong squad. The left footed players went on to stay with them for three and a half years and played in 82 competitive matches with 12 goals and 12 assists to his name. He helped them to two Russian titles and a Russian cup success before returning to Hannover in 2012. He finished his international career at this time and between 2004 and 2010 scored 7 times for Hungary in 51 games. The second period with Hannover was perhaps even better than the first had been. His two years there saw 51 league games and 19 goals with 18 assists. He also scored 5 goals in the 10 Europa League matches for them. The summer of 2014 produced a move to Chinese first division side Csangcsun Jatay. His year and a half with the far east included 39 league matches and 9 goals with 10 assists. The beginning of 2015 saw Huszti return to Europe to sign for Eintracht Frankfurt. He became a key player for the in the first six months with 17 league games. He scored in matches against Bayern and Dortmund in 15 matches at the start of the 2016/17 season. A return to China and Csangcsun Jatay was next and a further 16 league appearances brought four goals and 5 assists. Szabolcs Huszti underwent an operation to his knee last summer with Vidi's medical staff helping him to make a quick recovery. Vidi's new signing with train with his new team mates at the Sostoi on Friday. "I will be honest and say that I did not think earlier that I would play a game in the Hungarian league. My injury last year saw me spend lots of time at home. I would like to thank Peter Friar for his help as I worked together with him over recent months. It was at this time that Vidi approached me. I spoke with Zoltan Kovacs and Marko Nikolic, and listened to them, but at that time I was not ready to return. However, my opinion changed in time and I know that Zoltan Kovacs spoke several times to my agent. 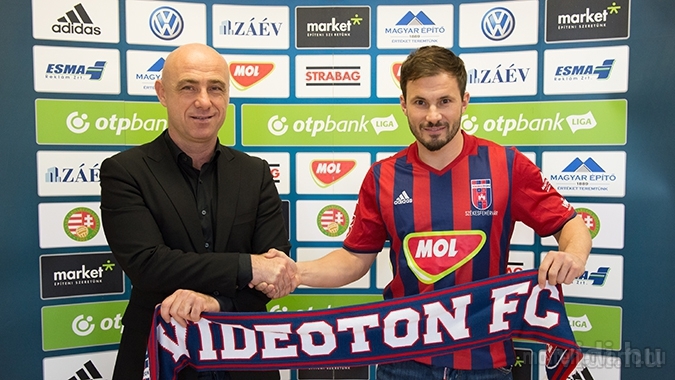 Danko Lazovic also called me and I also sat down with Istvan Garancsi to listen to the serious targets of Videoton. I have signed a long term contract and feel that I have made a good decision" - commented Szabolcs Huszti. "As to what quality player Szabolcs Huszti is does not need to be spoken about as everyone is clear regarding this. Enticing him home is a serious weapon for the club and I am proud that his transfer has happened. I would like to thank the owner for this chance of bring such a calibre player here. Szabolcs is an extremely professional player and has a strong character. His qualities will be needed for the team on the pitch as well as in the dressing room. We hope that he will pull on a Vidi shirt very soon after his injury. He has signed a long term deal and we believe that we can achieve serious success over the coming future" - said director of football Zoltan Kovacs. Fiola Attila és Stopira szerződést hosszabbított a MOL Vidi FC-vel! SZERZŐDÉS @ 2019. Január 09. Hivatalosak a 19-28. forduló kezdési időpontjai 2019. Január 09. Az MLSZ elkészítette a következő 10 forduló pontos menetrendjét. 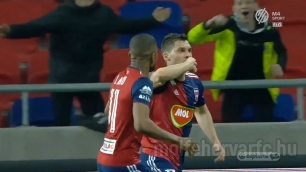 Elek Ákos a MOL Vidi FC játékosa! 2019. Január 08. Szerdától ismét várja szurkolóinkat a VidiShop 2019. Január 08.  A megszokott nyitvatartás mellett lehet felkeresni a Piac téri ajándéküzletet. Orvosi felmérésekkel kezdte az évet a MOL Vidi 2019. Január 07. A keret tagjai hétfő reggel találkoztak, az első edzést szerdán tartja Marko Nikolics.